WebmasterWorld, one of the Internet’s longest established and largest Webmaster and Internet marketing forums, is launching a new program called Feedback Days. Brett Tabke, CEO WebmasterWorld Inc.
We are on the path to making the first significant changes to the website in over a decade. WebmasterWorld, one of the Internet’s longest established and largest Webmaster and Internet marketing forums, is launching a new program called Feedback Days. The program is devised to enable the WebmasterWorld community help shape the latest site updates, changes and features. The kick-off of Feedback Days commences on May 24 in an announcement made on the site. Brett Tabke, WebmasterWorld’s Founder, said, “We are on the path to making the first significant changes to the website in over a decade. The template, software, forum format and subject matter, ads, subscriptions and moderation are all options on the table. We feel we can't effectively take on these changes without considerable help and feedback from the WebmasterWorld community." In order to encourage focus and to direct all WebmasterWorld Members towards the Feedback Days area, certain sections of the site will be temporarily suspended. All 100,000+ members will be contacted over the Feedback Days contributions exercise, which is expected to last up to 14 days. WebmasterWorld is the leading source for search engine and Internet marketing news, best practices and educational events. Founded by Brett Tabke, an early '80s innovator operating BBS (Bulletin Board Systems), the WebmasterWorld Forum began in 1996 and is now the largest community of online marketing professionals with more than 2 million posts and more than 100 discussion topics. WebmasterWorld Conference and PubCon events are for thought leaders in search engine and Internet marketing professionals to gather to share best practices in the, design, development, promotion and marketing of their businesses and brands. PubCon is a multi-track educational conference hosted by WebmasterWorld. PubCon events are for thought leaders and professionals Internet marketing, social media, search marketing and advertising to gather and to share best practices in the design, development, promotion and marketing of their Internet businesses and brands. 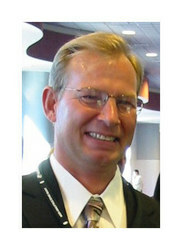 Brett Tabke, CEO WebmasterWorld Inc.Founded by Brett Tabke, an early '80s innovator operating BBS (Bulletin Board Systems), the WebmasterWorld Forum began in 1996 and is now the largest community of online marketing professionals with more than 2 million posts and more than 100 discussion topics.